A retired DEA agent is out to hunt down and take out a Jamaican drug posse that has targeted he and his family for murder. Left for dead with his wife killed in their house, L.A. Detective Mason Storm will have to make a quick recovery, expose those behind the murder and take revenge. The gruesome murder of a Brooklyn Detective will turn the case into a personal vendetta when the deceased's best friend and fellow officer will unleash an all-out attack against a psychotic Mafia enforcer's brutal gang. 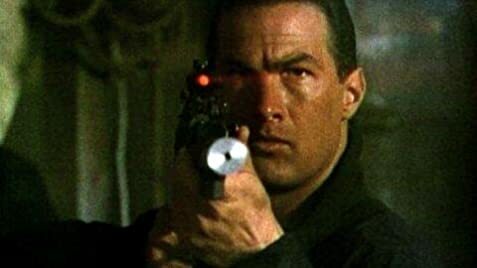 Two cops, played by Seagal and Wayans, are forced to work together to solve a chain of mysterious killings by a killer nicknamed "The Family Man". A mystical martial artist/environmental Agent takes on a ruthless oil corporation. Going undercover in rural Kentucky, an environmental agent tries to prove the dumping of toxic waste in the local coal mines by ruthless industrialists. Casey Ryback hops on a Colorado to LA train to start a vacation with his niece. Early into the trip, terrorists board the train and use it as a mobile HQ to hijack a top secret destructive US satellite. Max: I love giving away all my possessions, it makes me feel real spiritual. Q: What are the differences between the British BBFC 18 Version and the Uncut Version? Of Stevens Seagal's movies, this is clearly one of the better. It's from 1990, and that was around his prime time as a action star. ("Under Siege" came two years later). 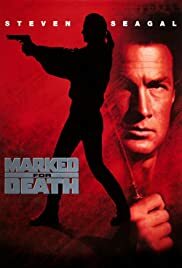 There are a couple of really cool fights in this movie where Seagal handles lots of bad guys without any effort at all. The last part of the movie, where he's invading the Jamaica-man bad guy's base is especially entertaining. In this movie, he has one of the best comments of all his films:"One thought he was immortal, and the other one thought he could fly. Both were wrong". Watch the movie to find out what I'm talking about. You won't regret it if you like easy action. 24 of 30 people found this review helpful. Was this review helpful to you?